Every day you pull a hose, connect fittings, pump a tank. Handling hoses and fittings quickly become second nature to the pumper operator. These tools that you use every day are the factors that make each pumping job a joy or a headache. Here are some considerations to make your daily tasks run more smoothly. The position of the hose hooks on your tank will make a big difference in the ergonomics of your daily routine. Tank manufacturers set up their trucks differently with some tanks having very high hooks. You may consider having the hooks lowered to make handling your hoses more ergonomically friendly. 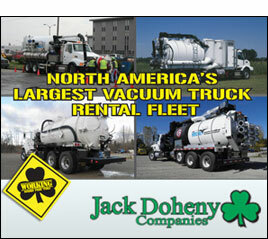 This will also decrease your job site time and offer a safer environment for you and your employees. Cleanliness of your hoses is an important consideration. Cleaning your hoses at every job site usually only involves a fresh water tank on your truck or a borrowed garden hose from your customer. 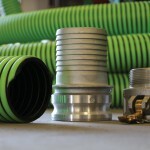 Clean hoses are easier to handle and will prevent waste leakage from site to site. Camlock fittings should also be cleaned to allow for proper function and ease of attachment. Camlock fittings will eventually wear out and need to be replaced. The stiff hoses usually make this a challenge and demand a lot of effort. There are various ideas of the best way to put on a new fitting (some of which can be very dangerous). Pik Rite Inc. has developed a simple hose clamping mechanism that forces a new fitting on with ease. Tools like this can take a lot of frustration out of these common duties. Make sure to replace your hoses and fittings when they begin to show signs of wear. High-pressure equipment cannot be trusted when it is worn out and will place you and your employees in unnecessary danger. There are a variety of options when shopping for new hoses and fittings. Stainless steel fittings are more expensive up front but will last longer and need to be replaced less frequently. To sum it up, you handle your hoses and fittings often enough to consider small ways to make your day run more smoothly. Ergonomics, safety, and efficiency will all pay off in the long run! 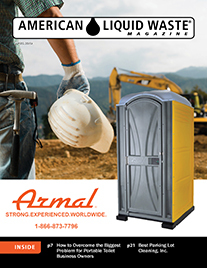 Story by KENT ENGLE -Pik Rite, Inc.
Pik Rite manufactures and services commercial vacuum tanks, hoist units, roll-offs, slide-ins, portable toilet service units and tank trailers ranging in size from 300 to 6,500 gallons. Our 15-year steel tank warranty sets us apart from the competition. 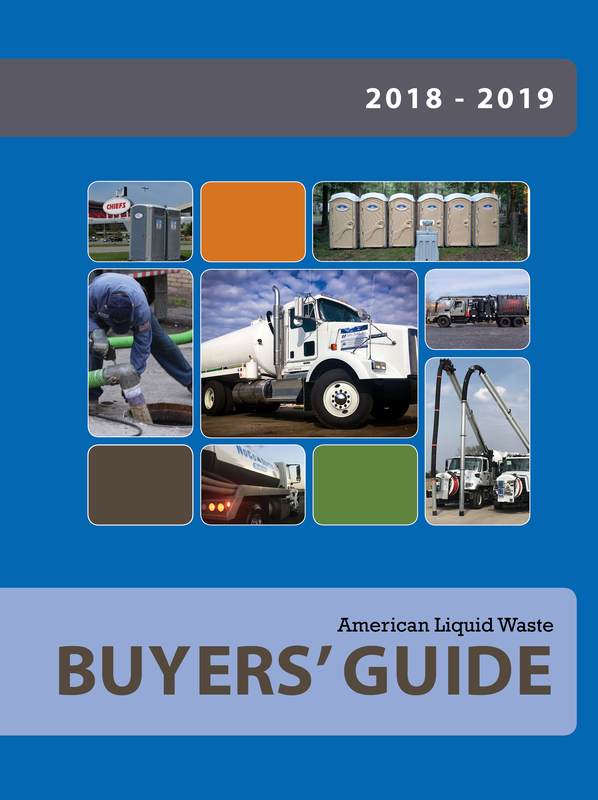 Tanks are available in steel, stainless steel and aluminum. Kent is the marketing coordinator at Pik Rite, Inc. Follow our blog posts at www.pikrite.com/blog. Call 800-326-9763 for any service and maintenance needs or to get a quote on a new tank. Another great idea other than what was stated in the article is to replace or repair the existing hose equipment if possible at the shop before the day begins. Repairs are best done at the shop and they can save time and money by not having parts fail or have a blow out in the hose while onsite at a job.This will also save having to take the truck back to the shop for repairs and upsetting customers by having to delay the job or worse cancelling/rescheduling them. With the tight schedules drivers have to run, this small but important step will allow smoother operation and prevent lost business.